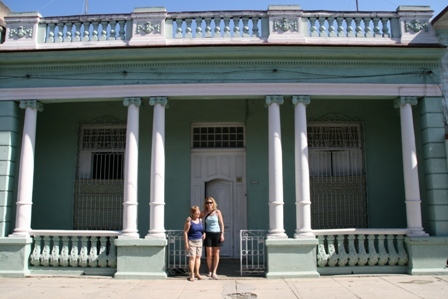 Cienfuegos was just a one night stop (21 March) between Trinidad and Havana. We were met off the busby the enthousiastic Miriam, who led us to her lovely casa just around the corner. 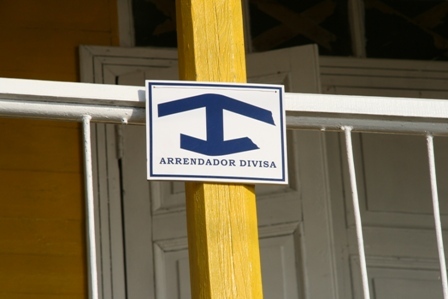 The casas who take guests all have the sign below outside their door, so even if you haven´t booked ahead it is easy to find one in any town. Miriam and her sister Gladys were very helpful with their tourist information – we didn´t tell them that our ´bible´Lonely Planet gave us all the information we needed! Cienfuegos was quite different from any towns we had seen so far. It had the usual colonial houses, very high ceilings and columns and decorative edging on the roof, but the centre of town was much more modern and not as attractive. The shopping district was the most ´commercial´we came accross so far. However, most of the shops had not been refitted since drapery and old school department store days, so they were interesting to walk around. 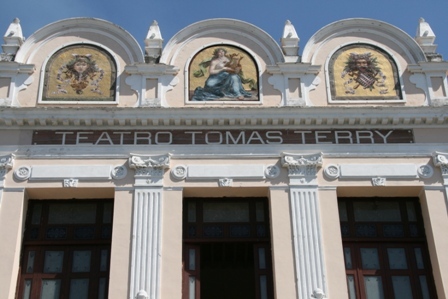 The main square, Parque Marti, has lots of impressive buildings, including the theatre below. We went to the second half of a variety show. It was a throwback to a more innocent age of entertainment, with a magician eliciting oohs and aahs from the audience with very simple tricks. Cienfuegos bay ends at Punta Gorda. We took a bicitaxi out to this point, 3K from the town. The peninsula was lined with fabulous houses, that were the homes of the rich pre-Revolution. Many of them have been beautifully restored and now function as hotels, or sailing clubs. Again, the locals don´t get to use these facilities. 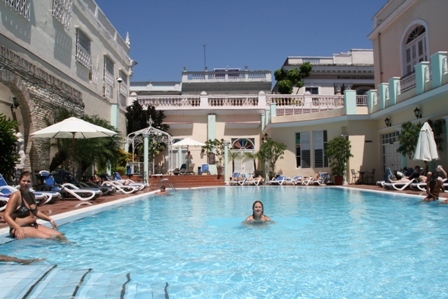 We whiled away the afternoon in the pool of La Union Hotel. 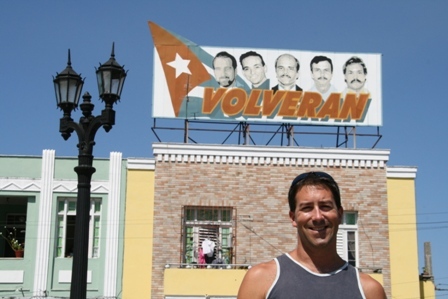 The Cuban government have a sort of tourist apartheid – locals are not allowed into the main tourist hotels, let alone stay the night. However, we recently heard that this ban was going to be lifted. 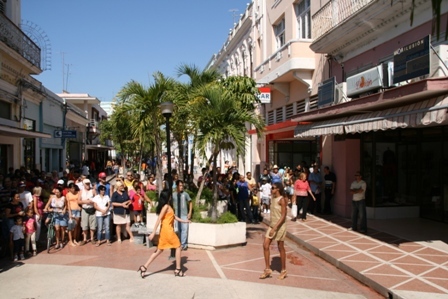 Cubans have also recently for the first time been allowed to buy DVD players and computers, a privilege previously reserved for foreigners. They are however still not allowed to have internet in their homes! Despite our hosts almost demanding we stay another night, we took the afternoon bus to Havana. 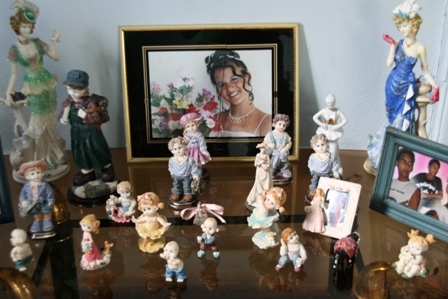 A Cuban obsession – millions of figurines decorate every shelf, along with pictures of daughters celebrating their ¨quinziera´, the date they turn fifteen.